Getting the banks to say YES!! You don’t need to ask many business owners what they think of banks before you hear something negative, which is always fascinating. After speaking with long time banker Karl Brandt from ANZ, it is not hard to see where the disconnect lies. 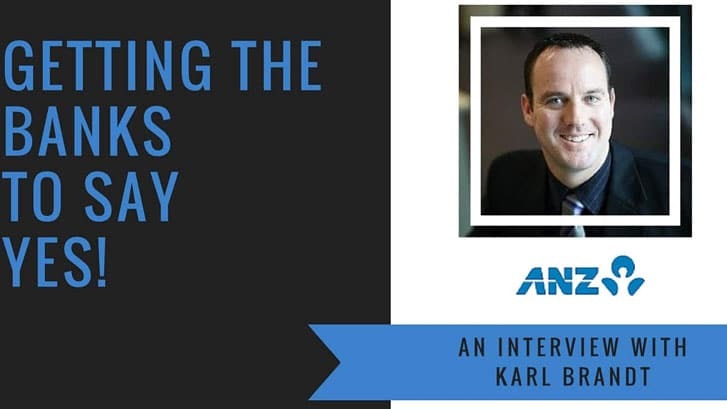 In this 25 minute interview Karl dives into how the banks work and shares the tips and tricks to get the banks on your side. If you are a growing business and looking to have your bank as a successful partner, this interview is a ‘must listen’.